When I started running in 2014, I had no idea what I was doing—either with how to run or with how to manage type 1 diabetes while doing it. At first, I was so slow and one mile felt so long that it didn’t matter so much, but once one mile turned to two, then three, then four, I suddenly had a lot of questions and no answers: How do I stop going low? How much should I eat? What should I carry with me? How do I stop going low? How do I carry all the stuff I need to carry with me? Why do I keep going high after I run? How do I stop going low? I emailed my endocrinologist, which I really should have done much sooner, and she sent me some guidelines with where to start, such as how much to decrease the basal rate on my pump and how much to eat every 30 minutes. I quickly realized that these guidelines were going to require a lot of tweaking in order to work for me. About a year later, I was participating in a research study and was introduced to another study participant, James Mansfield, who was also training for the Los Angeles Marathon. Once we started emailing, I realized how helpful it was to have someone else with T1D that I could ask questions. We compared the backpacks we were wearing (which we’ve both since given up), the food we ate while running, and temp basals. While we were both very different, we were able to learn a bit from each other. We convinced a few other people with T1D to run the marathon with us and thought it would be cool to have our own “team.” We didn’t want to fundraise, so rather than signing up with a non-profit, we thought we’d make our own group, and thus Type One Run was born as a small Los Angeles group that occasionally met up for runs. 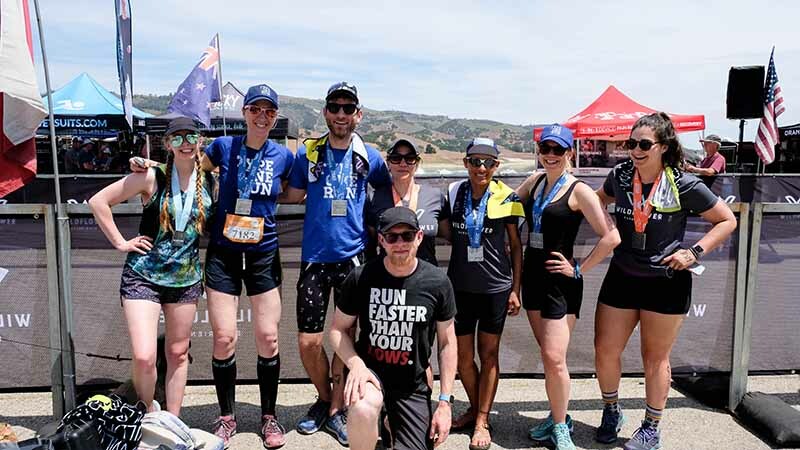 After the marathon, we didn’t do much for a year until we decided it’d be fun to do the SoCal Ragnar Relay race, where 12 people take turns running the 180 miles from Huntington Beach to San Diego. Spread across two vans of six people, everyone instantly bonded. For the first time, we not only saw how much we could teach each other, but how important it is to have a T1D community—even if that community is soaked in sweat for 36 hours. We knew that more people needed to experience what we did that weekend, so we registered Type One Run as a non-profit. Our guiding principles were simple: you shouldn’t have to fundraise to be a part of the group, you don’t have to do any races you don’t want to, we won’t make you wear the logos of any companies, and anyone, anywhere, can start their own chapter (and we’d send you a shirt for free). It turns out that people liked the idea as much as we did: chapters started popping up around the world and James was headed to the post office every week sending boxes of shirts, stickers, pins, and more. In the fall of 2017, we were joined for a run by Sarah Lucas and Mary Lucas from Beyond Type 1. We got to talking about how important community is and quickly realized how aligned our missions were. One week later, we were discussing plans on folding Type One Run into a core program of Beyond Type 1. That January, we announced the merger and the feedback was tremendous: in one month we grew from 12 chapters to over 60, and now, six months later, we’re steadily approaching 100 chapters that are all locally and independently run. While James and I laid the groundwork over a year ago, what makes Type One Run work—and what makes it so powerful—is that everything since has been built by other people who believe in the mission too. It’s the first time there has been a network of people with type 1 diabetes around the world, and everyone owns a piece of it. Since there are no rules, we’ve seen chapters evolve in unique ways to fit the needs of every city: some chapters have weekly runs, some monthly; some chapters have hiking groups; some chapters have pool parties and happy hours. Jon started the Type One Run podcast, Francesca bought t-shirts for her whole chapter, Chewy brought insulin to someone who ran out, Don found people across the country to run with, and I use Type One Run to meet new people, in real life, all around the world. Type One Run is a lot of things to a lot of people, but it’s always what they need when they need it. 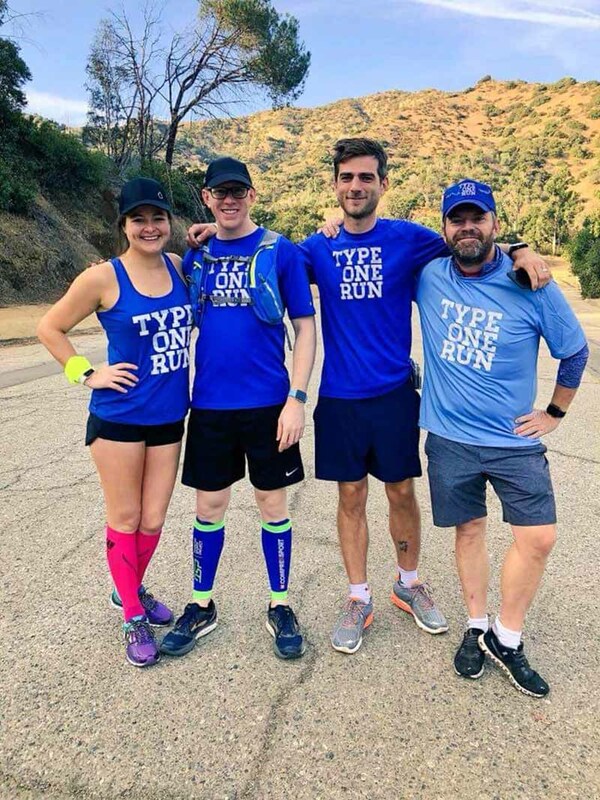 You can find your local Type One Run chapter at typeonerun.org and then connect with them in their Facebook group. 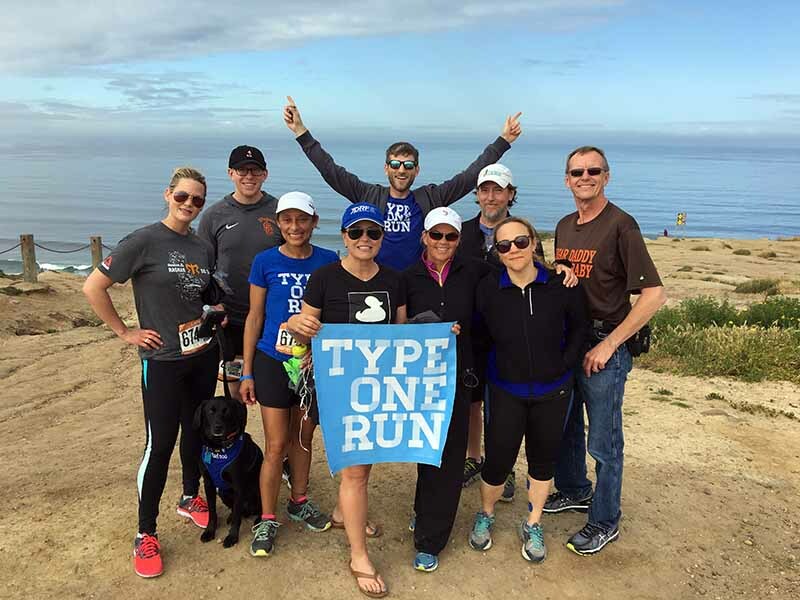 Follow @typeonerun on Instagram to keep up with everything going on at Type One Run and to see runners with T1D around the world. Craig was diagnosed with type 1 diabetes when he was 13 years old. Through the Beta Cell podcast, his filmmaking, and in co-founding Type One Run, he continues to prove that sharing stories is our most powerful tool to empathize, educate, and advocate. 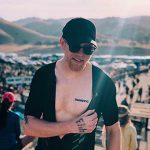 You can follow Craig on Instagram @betacellpodcast.